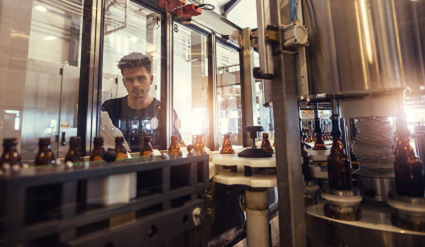 Brewing and beverage companies are facing constant pressure to increase productivity, improve labeling performance and deliver their most creative solutions yet. Their aim is to attract and keep consumers who are easily wooed by money-off offers and innovative packaging designs. With customer loyalty at an all-time low and performance expectations growing every day, the brands of the future are seeking a new holy grail: one that combines performance with freedom to create product labels that ensure their brand stands out from the crowd. First and foremost, brands need to stand out on the shelf and make the product enticing to customers. Many companies have found that adopting an innovative approach to product packaging and labeling has boosted sales considerably. For instance, in the soft drink market, one manufacturer very successfully used personalized labels to flag down consumers, and this approach has since been mimicked by other brands looking to get ahead of their competitors. Other trends within the food and drink market have resulted in shortening print and production runs, helping manufacturers to keep their brand fresh. Sustainable manufacturing also is important, with customers opting for more environmentally aware options and demanding that brands behave responsibly. And, in this complicated and highly competitive atmosphere, pressure on prices forces manufactures to operate with speed, reliability and minimal downtime, with a view to achieving the most cost-efficient and sustainable production process. But how to balance the need for creativity with speed of production? How will new ideas be implemented without stopping production runs to test? H.B. Fuller understands the challenges of brewing and beverage companies, and with over 130 years of adhesive expertise, we are focused on helping our customers discover “labeling without limits,” enabling brands to work in a more flexible, creative and profitable way. Our comprehensive range of labeling adhesives ticks all the boxes, meaning designers can let their imaginations soar. For instance, our Swift®tak 3570 adhesive is ideal for breweries working at top speeds with paper, metallized and aluminum labels, and Swift®tak 3534 runs cleanly on untreated HDPE, PE and PP bottles. Partnering with H.B. Fuller gives our customers access to global adhesive expertise to give guidance on the best adhesive for the job, while worldwide manufacturing and supply supports growth wherever in the world companies wish to operate. We also can help optimize machines, and when using our clean-running adhesives, we can support our customers in changing runs faster, increasing their responsiveness to their customers’ needs, as well as reducing machine downtime and improving productivity. We’ll be spreading the word about limitless labeling at drinktec (hall A2, stand 127), Munich, Germany, 11 – 15 September. Come see us to learn more!